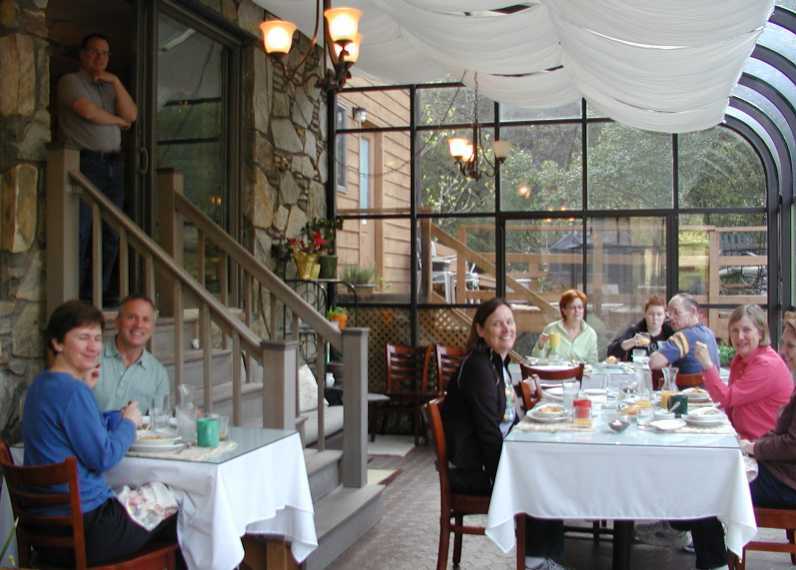 Besides being a place for breakfast, the solarium is also a place from which you might observe our other breakfast-time (and afternoon and evening) guests — those of the winged variety. 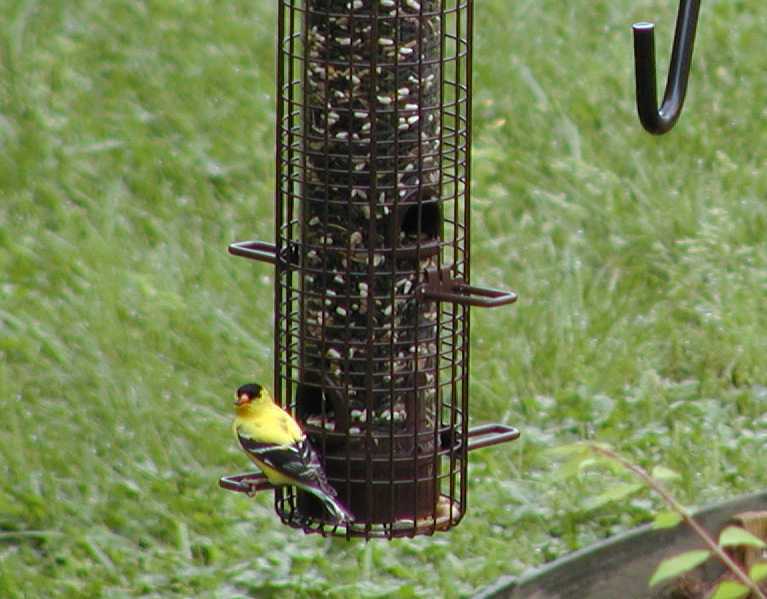 For example, our American Goldfinches are back in full force and are having a grand time in the morning at our new feeders from Wild Birds Unlimited in Asheville. As this next guy turned to say hello from behind one of the feeders, we thought he resembled a Marshmallow Peep just a little, so it’s fitting that we share his picture on Easter, don’t you think? 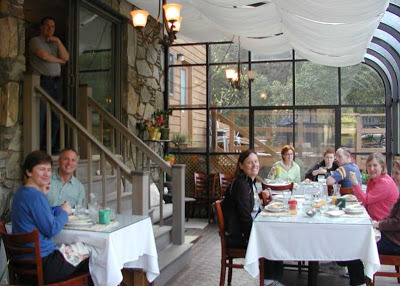 The Inn on Mill Creek near Black Mountain and Asheville, NC, is one of 105 Mountains Region sites on the North Carolina Birding Trail, something we’re very proud of. 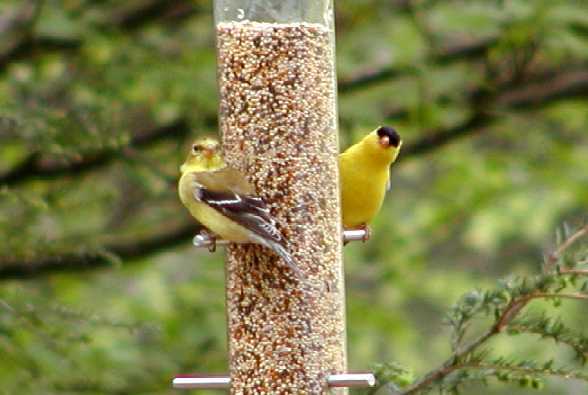 Other nearby Birding Trail sites in the mountains of Western North Carolina include Biltmore Estate, Chimney Rock State Park, Grandfather Mountain, Linville Falls, Mount Mitchell State Park, the Mountain Gateway Museum in Old Fort, and the North Carolina Arboretum. 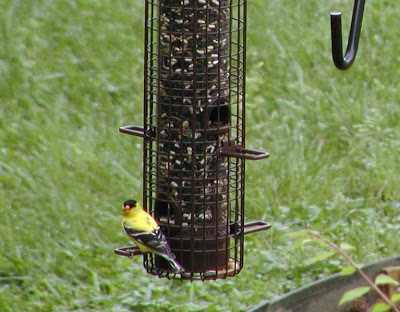 As one of a handful of private properties on the statewide driving trail, the Inn’s grounds are open to birding enthusiasts seven days a week, by appointment. Please call 828.668.1115 or e-mail us to set up a time to come out and do some birding on the North Carolina Birding Trail! More than 120 species of birds make our neck of the woods their home at different times of the year. Additionally, stay tuned as we’re working out details to provide formal birding opportunities for our guests with our new friend and expert birder, Simon Thompson of Ventures Birding Tours. Some of you may recognize Simon from Wild Birds Unlimited in Asheville, which he owns with his partner, Chris, or from Chimney Rock State Park, where Simon serves as the Park’s ornithologist and leads guided bird walks. This entry was posted in Uncategorized and tagged birding, guests, outdoors by Inn on Mill Creek. Bookmark the permalink.